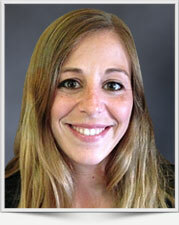 Brianna Scarfo has over five years of hands-on experience in the environmental consulting industry. Her experience includes environmental due diligence including the preparation of Phase I and II Environmental Site Assessments (ESAs) on commercial, residential and industrial properties, the development and implementation of Remedial Action Plans and Stormwater Pollution Prevention Plans, and extensive research and analytical investigation associated with Environmental Impact Assessments. She is proficient in the use of mapping programs including ArcGIS and AutoCAD and has been responsible for the preparation of various informational maps and figures supporting analytical reports. Latin American Studies Concentration, University of Pittsburgh, 2011. As part of real estate transactions and due diligence, Brianna conducted numerous site assessments on commercial, residential, and industrial properties in addition to vacant land areas. The standard scope of work of the Phase I site assessments included a visual reconnaissance of the property in order to identify any existing recognized environmental conditions, a review of the historical use of the property and operations previously conducted on-site, and a database search of any sources of environmental degradation in the area surrounding the subject property. In addition, Brianna prepared the standard package of supportive figures to accompany each Phase I ESA report in ArcGIS or AutoCAD including topographic maps, groundwater contour maps, FEMA maps, wetland maps, and zoning maps. Brianna prepared and assisted in the implementation of Phase II work plans for sites with identified potential environmental concerns. She performed oversight and collection of soil, soil vapor, groundwater and ambient air sampling as well as the utilization of Ground Penetrating Radar (GPR) in order to identify subsurface structures. During field activities, Brianna routinely prepared soil boring logs and screened soils for evidence of contamination. Following completion of field activities, she analyzed field data and prepared Phase II summary reports. In addition, she prepared sample location maps in ArcGIS and AutoCAD. Brianna developed Stormwater Pollution Prevention Plans (SWPPPs) for construction activities and active industrial facilities. The development of the SWPPPs included preparing descriptions of existing site characteristics, evaluating existing and post construction stormwater runoff characteristics and working closely with project engineers to design erosion and sediment control plans. Following completion of the SWPPPs, she provided compliance assistance by conducting weekly inspections of the construction sites and annual benchmark sampling and filing for the industrial facilities. Brianna worked with several not-for-profit development agencies to facilitate the environmental review necessary for the construction of supportive and affordable housing facilities in the New York City area. She conducted Phase I ESAs on the subject properties, developing and implementing Phase II and Remedial Action Plans on properties with identified environmental issues, and development of Environmental Assessment Statements. Specifically, Brianna conducted impact analyses in areas including: land use, zoning, open space, socioeconomic conditions, shadows, noise, transportation, community facilities, hazardous materials, air quality, community character, public health, and construction. She has also worked closely with subcontractors during detailed analyses of the assessment areas.